The PITTI CAFFÈ story began in 2005 with a simple idea: to give everyone the coffee they desire while respecting the environment and those that inhabit it. Our singular focus is on delivering highest quality coffees and ultimate coffee experiences to our consumers cup after cup. We compete in both the business-to-consumer and business-to-business segments, allowing consumers to enjoy our highest quality coffees at home or at work and to recreate these perfect coffee moments wherever they may be. The PITTI CAFFÈ company is an autonomous globally managed business of MOKAEFTI S.p.A est. 1930. With our corporate headquarters in Milan-Italy, with 2 productions plants, one in Italy and one in Switzerland. We are present in more than 30 countries in 4 different continents. • Creating the highest quality coffees for our consumers around the world. 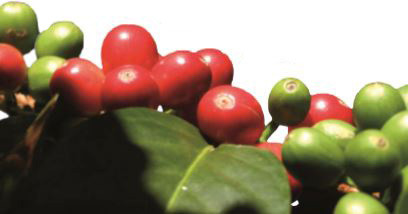 Our perfect coffees are selected from the top of the world’s green coffee production. Our experts specially roast and blend these coffees to create the widest selection of Coffee Blend varieties to suit every taste. Our passion for perfection is truly reflected in our unsurpassed coffee quality. • Creating long-lasting business relationships One of the most valuable aspects of the PITTI CAFFÈ brand is the relationship that we have with our partners around the world. Every day we cultivate direct and personal relationships with our partners, allowing us to continually anticipate expectations and evolve to meet them. • Creating sustainable business growth PITTI CAFFÈ takes a long-term, holistic approach to sustainability. We are committed to ensure sustainability across all operations, from coffee sourcing “Fair Trade” to capsule “Certify Biodegradable in 24 Months”, setting clear targets and seeking to create shared value for the business and for society. Our program provides a framework for partnerships and innovation to drive on-going, sustainable development. For us, is our way of doing business. Who doesn’t enjoy an espresso or a cappuccino? Words which have always aroused image of Style, Passion, Research and Italian elegance, synonymous of PITTI CAFFÈ. It takes just a push of a button to make the perfect cup of PITTI CAFFÈ coffee. But the story behind each cup reveals a far longer journey. A journey that speaks of the passion and expertise that goes into the entire process of creating the highest quality coffee. Behind the PITTI CAFFÈ brand is a story rooted in the company’s heritage of highest quality coffees, innovative products and personalized services. Every PITTI CAFFÈ capsule or paper pod sold in the world is produced in our state-of-the-art production center in Milan-Italy. With 8 coffee blends, 6 fresh tea leaf blends and 2 formats to choose from “paper pod & capsule”, PITTI CAFFÈ range offers a huge variety of profiles and aromas. Every blend in our range is the product of a complex process of selection and assembly. Our coffee beans are categorized by cup size and level of intensity. You can enjoy an excellent cup of coffee or cup of tea to suit your taste, whatever the time of day. PITTI CAFFÈ has revolutionized the way people worldwide prepare their coffee with a range of smartly-designed and convenient machines. With the original PITTI CAFFÈ capsule and machine, anyone can make the perfect coffee, cappuccino and tea, cup after cup just as a skilled barista. Behind this simplicity lies a complex process that PITTI CAFFÈ has mastered in the quest to deliver the highest quality coffee to consumers. At the heart of the PITTI CAFFÈ system is the unique interaction between our coffee capsules and our machines. Integrating advanced technology and function, PITTI CAFFÈ machines manage the exact balance between water temperature, pressure, quantity and speed. They are specifically designed to enhance the aroma, crema and flavour of our coffees, creating the perfect cup every time. The perfect combination of design and technology. Elegant, innovative design combined with forward-thinking technology: PITTI CAFFÈ coffee machines are a natural fit for your company. Our full range of coffee machines includes 9 models designed and manufactured in collaboration with our partners. Since the launch of our first machine in 2008, PITTI CAFFÈ R&D experts have raised the standard of machine innovation, enhancing performance and offering convenience to consumers. Today, we offer a range of machines based on revolutionary designs that allow our consumers to personalize their coffee experiences. PITTI CAFFÈ machines have been designed to suit all lifestyles. Our Freedom series machine is sleek and compact, perfectly suited for chic urban living or any work place. The new entry CULT, a true jewel of Italian design, technology and simplicity – the smallest, fastest and smartest machine to date – minimizes time, space and energy consumption. The Freedom C11 or E11 range allows coffee lovers to indulge in the perfect pairing of coffee and milk savoring the rich creaminess of froth at the touch of a button. During 2011 PITTI CAFFÈ has invested heavily in coffee machines research and production. Will continue to invest in research and technology in order to remain avant-garde in these times of continual growth and progress. We at PITTI CAFFÈ believe that the key to success is in striving to remain cutting-edge whilst maintaining the highest level of quality products for which we are renowned. FACTS and FIGURES PITTI CAFFÈ success story is marked by important milestones in the development of the brand. They reflect the MOKAEFTI continuous quest for innovation and pursuit of excellence to delight consumers with ultimate coffee experiences.